For the first time ever, blast your way through the world of Starcraft in your own Wraith starfighter. Dodge deadly Scourge, use multiple weapons, and fight through hordes of other well-known Starcraft units in this action packed scrolling shooter. This game is a top-down shooter in which Flying Syphilis Zombies (FSZ) and Ninjas battle for supremacy of the universe. The object of the game is to jump on your opponents head while not allowing them to jump on your own. Each character has their own set of keys to control their character. Each player has infinite ammo, but there is approximately a 5 second reload time. Additionally, players may pick up the mushroom powerup to decrease thier reload time dramatically, although temporarily. Fallout Open is a game about street racing in the future, where weapons are mounted on cars, leading to vicious racing. You start off as a young street racer, showing off against various opponents, including the powerful Panzer Pete! But then, suddenly, an evil madman, who does street races on the side, detonates a nuclear bomb in the city, and in order to get revenge, you must finish him, once and for all! As you progress through the game's 4 levels, you gain cash by which you can upgrade your car's weaponry, to better defeat your foes. Good Luck, Rookie! Intended for all audiences that enjoy the challenge of puzzles involving strategy, a story of heroic nature and mystery, and discovery of a unique environment that many have tried to explore but failed. Rated F for Fun. 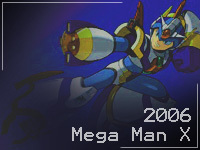 Megaman X "2006" is a remake of the old Megaman X. The pace is a little faster, the control is tight, and in this version Megaman gains some new abilities. This prototype version has three levels. Megaman's control was translated nearly perfectly. The only real difference is that in this version he has a stronger gravity which is part of what creates a faster pace. Crystal Plains is a 2-D turn-based strategy game from I Found Gerber featuring the revolutionary Color-Based-Combat battle system, and an original story from David Corliss. The game is set in an isolated village besieged by a war not of its making. Hiding in the village is Johan Gerber hunted by the determined police Inspector Michael Cahal. It is when these stories merge that a mysterious phenomenon unveils itself. It is this phenomenon that is at the heart of Color-Based-Combat. Derived from checkers this combat is set on a grid, each player moving one piece per turn with the goal to eliminate the opponent. However, in order to destroy the opponent the player must attack using the shared color element, thus creating the need for careful strategy and planning. 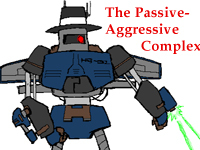 Passive Aggressibe Complex is a side-scrolling shooter that features two players versus each other. Players must battle through hordes of enemies while at the same time, dodging attacks from their opponent. This game is designed to be able to be played by anyone and learned quickly, while a human opponent will change the game every time. Both players have their own side of the screen and cannot cross over to the other's. When a player destroys an enemy, attacks will be sent to the other player's side of the field. In this way the two players can affect how difficult the other player's experience is, but can never directly combat each other. There are five unique characters to choose from, allowing players to find a character that suits their style of play. Fight your way through castles and enemies with sword and spell as Syntaxerror to get to the Evil Lord who has kidnapped your love. Customize your players stats from the start to create a Syntaxerror suited to your style of play. Engage in fighting your foes with swords in melee combat or choose to fight them with spells instead. Eight different element types to cast at your enemy and a healing spell to aid yourself when you are weak are at your control. Potions throughout the levels can replenish your health or your mana when you decide to use them. Face the challenges ahead in this side scrolling action/platform game with easy control and amazing graphics to defeat evil and reclaim your love. Wrath of Abraxis is an action roleplaying game, in the style of the early Zelda series. The player takes on the role of Faxon, a hero in a medieval fantasy world on a quest to regain his magic and defeat the evil Abraxis. He must travel though four dungeons, completing puzzles, finding items, battling monsters, and defeating bosses, until he finally reaches Abraxis, the evil overlord that took Faxon's power away from him. This game is about a miner who tries to make a fortune off gold and gems in a recently discovered vein in the desert. Creaturoids is a game where childhood meets adulthood. The main character explores her home town, discovers a horde of bad guys, and trys to escape. While doing this she collects other creaturoids, as she is a fond collector of them. Battles are fast paced, and dificult while remaining highly simple. Can you survive? Be a fighter, wizard or ninja and fight your way through monsters to reach your wife, who has been captured by the evil empire! Claim your dominion over all the cities by being the last gorilla standing and defend your territory. An unknown force has been wrecking havoc throughout space. Scattering planets and the universe with toxic gas and robotic Vikings, the unknown evil mastermind has been detected by the Chinese government's satellites. Ninka Norwana is an extremely skilled Chinese Ninja sent into space by the Chinese. His mission is to destroy all Viking robots and neutralize the toxic gas slowly killing and destroying the entire universe. Players take the role as Ninka and fly in his spaceship through the dangerous outer reaches of space. Ninka is looking to reach the evil mastermind before everything, including him, is destroyed into oblivion. Key of Conflict is a 2-dimensional platform game where the character can traverse through many different levels in order to save your sister Penny from the evil sorceress Noleta. 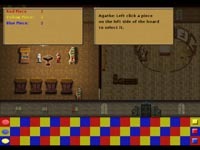 Only the starting town level (which includes two cut scenes), a level selection screen, and seven of the ten levels were able to be completed. For the prototype, the levels available are Tall Mountain, Deep Ocean, Murky Mire, Dry Desert, Crazy Garden, Chilly Lake and Windy Clouds. Others remain unfinished. Journey on a Quest to collect all the Elemental Swords and help save the world. Militia is a RTS game with a unique resource and unit training system. The Revolutionary War is underway in many of the American colonies. Although your state, New Hampshire, is not yet at war, tensions are rising and the British are pushing more and more tyrannical policies upon the state. It has gone so far as to the British occupying and controlling many of New Hampshire.s main towns and villages. In Militia, you take the role of starting the resistance to push out the British by recruiting an able militia force to resist and fight British occupation. You strengthen this militia force by conducting raids on strongholds and supply convoys to steal supplies. It is up to you to end the British oppression of freedom in your land. A scrolling shooter where your color determines your hits and damage. "THE GIFT" is an exciting top-down scrolling shooter that combines the best of all of the gaming genres. 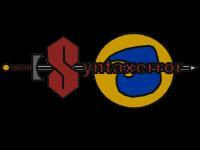 It combines various aspects from role-playing, arcade, and action-adventure gaming. Join Vincent on his adventure through the rough terrain of the Great Midwest north into the frozen tundra and enormous mountains almost a millennium later than now. Vincent is in pursuit of a gift, "THE GIFT", and must obtain it before the dreaded Killion alien-combatant race does and enslaves the entire human race with their superior technology. In the future, the human race outgrew Earth and went out to colonize another planet. When the humans arrived, they discovered the planet was already inhabited by an alien race. After an initial conflict, the aliens withdrew, affording the humans a chance to fortify their position and build shields around the planet. Before the humans could complete the shields, the aliens returned to reclaim their home planet. 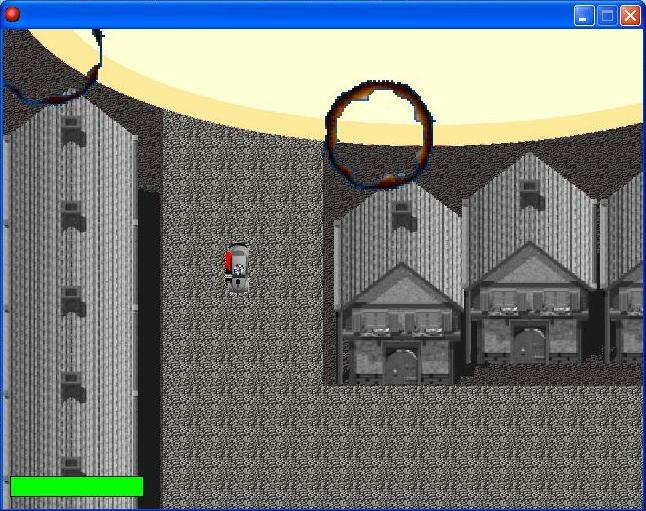 The player can choose to play on the side of the humans or the aliens. When playing the human, your goal is to assemble all the pieces to protect the planet from further alien attacks. When playing the alien, you must destroy the pieces of the shield to enable the aliens to retake their home. 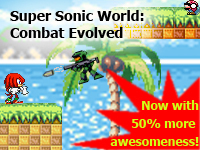 A top down scrolling shooter set in a fantasy environment with RPG elements. Using the arrows to move, travel through the levels and obtain the money sack. But watch out for the hot coals! Take to the skies of the moon is this vertical scroller. Hordes of enemies will fly at you, and it is up to you to avoid enemy fire as well as retaliate with some firepower of your own. Can you get the high score? Cynic City is a game based on world stuck in the past. Mob bosses overthrew the American government in the 1930s, and now these bosses rule their respective cities. You are Jonathan .Gloves. MacGuffin, a thief so named from his unusual eyes. Cynic City is not a serious game, and likes to mock itself as often as possible. Gather priceless artifacts and increase your personal wealth through filching the possessions of these crime lords! A stealth adventure with massively intricate levels. Solar wind is an analog scrolling shooter. And stuff.